If you need to make a few inches of rise entering your home easier for your wheelchair or scooter, LiveAbility offers threshold ramps which can fit any door or rise you might need. 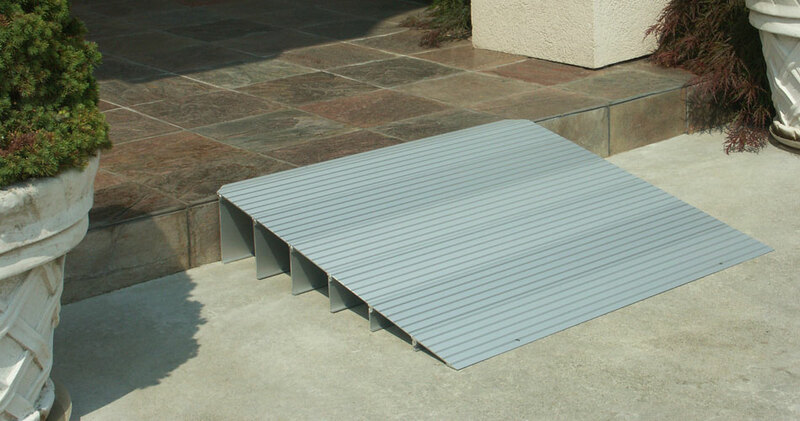 You can choose from ramps built from high strength aluminum or solid rubber mats. 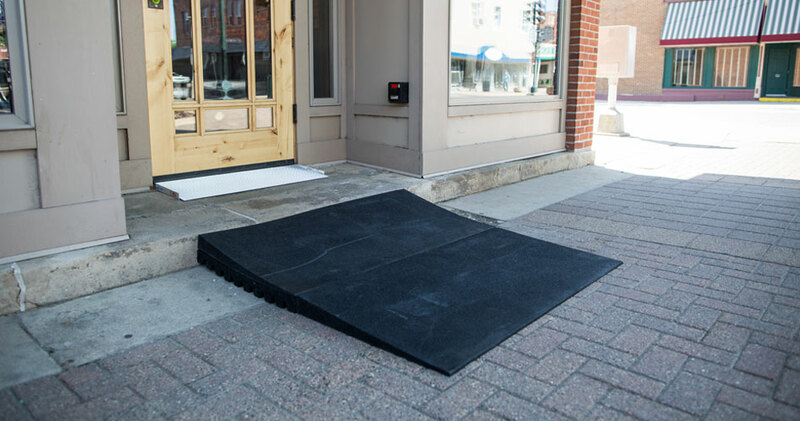 Our wheelchair threshold ramps provide a smooth and strong transition for all door and threshold types. LiveAbility offers both residential & commercial wheelchair ramp rentals no matter how big or small the vertical rise might be. Simply send us a couple photos, talk with one of our friendly team members and receive a quote with a aerial drawing of how the system will appear. 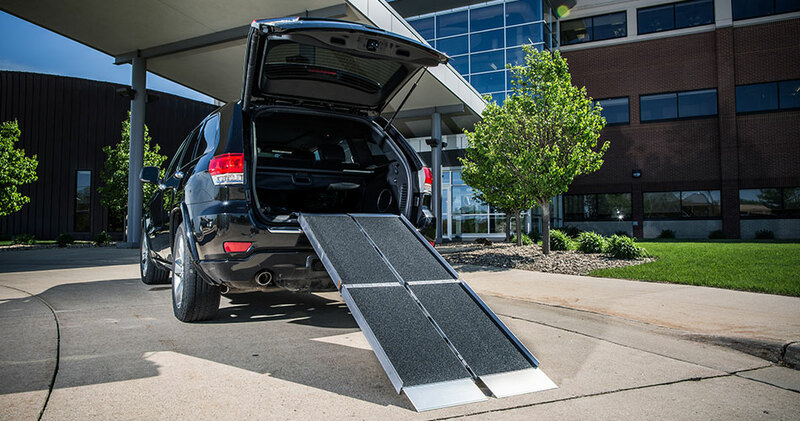 When renting wheelchair ramps from LiveAbility, you have the option to set the system up yourself or have our experienced installers do it for you.